Allen's early collages were inspired by the time he spent in Italy on a scholarship in the early 1960s. In Milan, he took inspiration from the hoardings which surrounded the many building sites. These hoardings were made up of vertical boards, which were fly posted, disassembled, and reassembled elsewhere, resulting in a unique aesthetic effect of strong vertical lines covered in broken up areas of text and image. 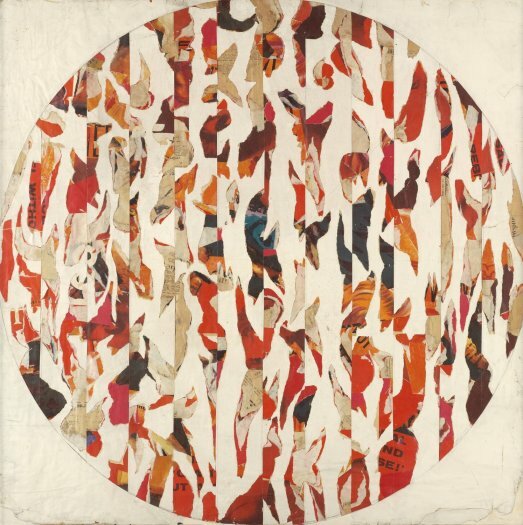 The early collages Allen made in response are a fascinating blend of Pop art and pure abstraction. In 2010 the Tate Gallery acquired Allen's six-part Systems painting for its permanent collection. In 2011, an exhibition of his paintings was held at the Victoria Art Gallery, Bath.